If I had a penny for every time I’ve heard those words during a phone call to a service provider (mobile operator, grocery stores, medical insurance – even the doctor! ), I’d have at least one plane by now. We’ve all been there – “you are caller number 15 on the line, estimated wait time is 12 minutes” – frustrating, to say the least. I normally hang up and resign myself to trying later, probably just before lunch as studies say that is the quietest time for a support desk. But how long would you wait? What if it’s a critical business issue that’s taken down your website? And it’s sale season? And you’ve got customers with full shopping carts, ready to buy, but unable to check out? Every vendor out there has a solution for a faster website. Everyone promises five 9s of uptime, every feature under the sun (the moon and the clouds – AWS, Azure, Google et al) as well as “unbeatable” pricing. But will they be there for you when you need them, like when you push a new update and the site breaks? E-commerce websites are changing all the time and, with the best of intentions, people break stuff, and usually on a Friday night when the developer has left for the day. The Webscale platform is cloud-native – born and raised in the cloud. That means we can add features faster, and push the benefits out to all our customers at the same time. Traditional vendors in this segment can take much longer, and if you’re not a major customer, you may never see the feature you want at all. Imagine having to wait months, or even days to fix a critical security hole like HeartBleed. Our cloud-native model allows us to push updates, especially security updates, simultaneously to all our customers, and the beauty of our software-as-a-service (SaaS) model means they never have to worry about what version of software they are running. 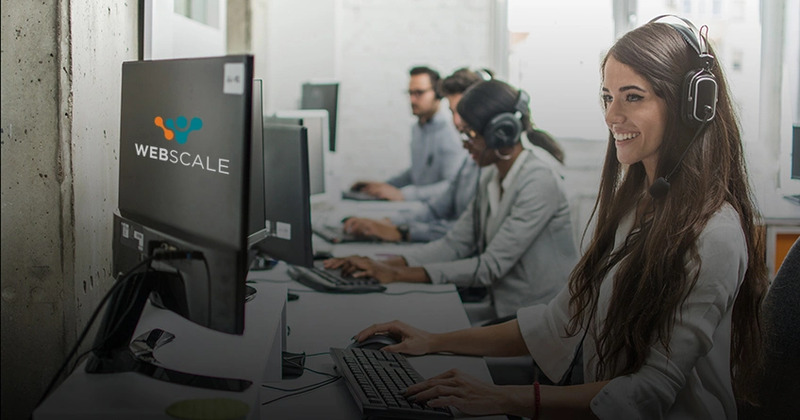 Every customer at Webscale is important – and they never wait on call. And if your storefront breaks on a Friday night, we’ll stay with you until it’s fixed. Size matters little when it comes to support, as Dwight from The Office would agree. Put your trust in a vendor who doesn’t let you go down in the first place. More importantly though, trust one that gets you back up and running fast if you do, and knows who you are when you call.